Before they started buying LP’s, my parents had a few 10 inch records and a box full of 45’s, that either had been bought before I was born or in the three years after my birth. 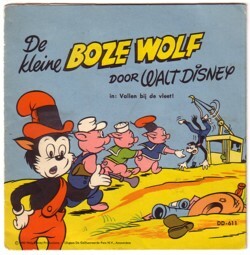 The first record that I can remember is a flexi record with a story about The Big Bad Wolf, who in Holland goes under the name De Grote Boze Wolf. The flexi came with a woman’s magazine, Margriet, in 1963. Or maybe the readers of that magazine could buy it, I don’t know. 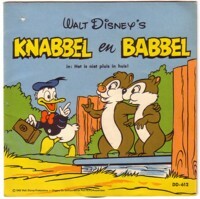 It could even be that you got this record if you subscribed to Donald Duck, a magazine from the same publisher, De Geillustreerde Pers. I also cannot remember that the record had a sleeve. When I bought the sleeve much later (without a record in it, but I already had that, of course), I did not recognise it. But the story is etched in my brain and it is one of my earliest memories. The story is about The Big Bad Wolf, who is trying to some evil things, but everything goes “wrong”, and in the end he gets rewarded for doing so much good deeds. A very esoteric story about our wrong understanding of the concept of good and evil, but I don’t think that the creators of this record were aware of that. 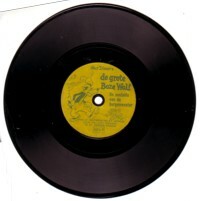 Later I discovered that this flexi record was part of a series of at least three. But the stories on the other two records are not very impressive. 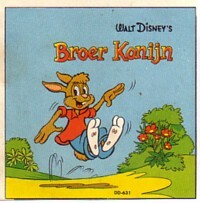 Most of the records made for kids in Holland are pretty stupid; I should consider myself very lucky that my first record was the best record ever made for children! It is difficult to find information on records like these. There is no archive for this kind of material in Holland, and it are not the kind of cool records that are written about in record collector magazines. But there must be some people who will appreciate this just as much as I do.